Hope you had a happy Thanksgiving! Good news – the new menus are now up in Cooking Coach! Take a look at the Spanish Menu for great recipes featuring tomatoes. Did you know that the tomato is a great source of vitamin C? 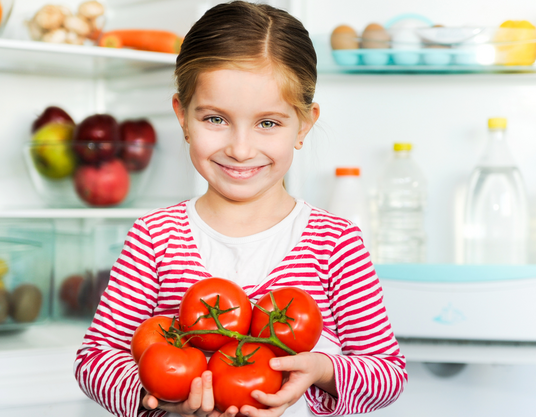 Here’s another interesting fact: tomatoes feature different nutrients when cooked than raw so you should certainly eat them both ways. My new go-to breakfast is a salad of tomatoes, avocados, red onion, and a little parsley. It sounds wacky as a breakfast, but it’s really mild and tasty! Give it a whirl. For all you guys out there, tomatoes are especially great for men’s health. They promote optimal prostate health. So, eat tomatoes often and enjoy your cooking this week! Q. Can you suggest recipes to use up my leftover turkey from Thanksgiving? A. I love getting resourceful in the kitchen, so of course! 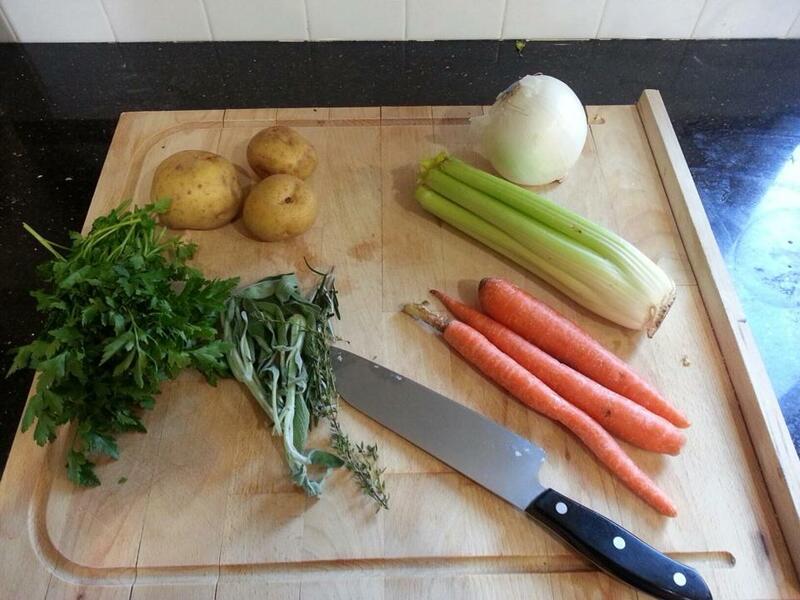 I have a delicious turkey soup recipe for you that can incorporate much of your leftovers. The ingredient quantities you use are up to what you have and what you like. You’ll need onions, carrots, and celery for this soup. A great tip, though, is to always have these three ingredients on hand in the winter so that you can make a good base for soup whenever you please! OK, back to turkey soup. 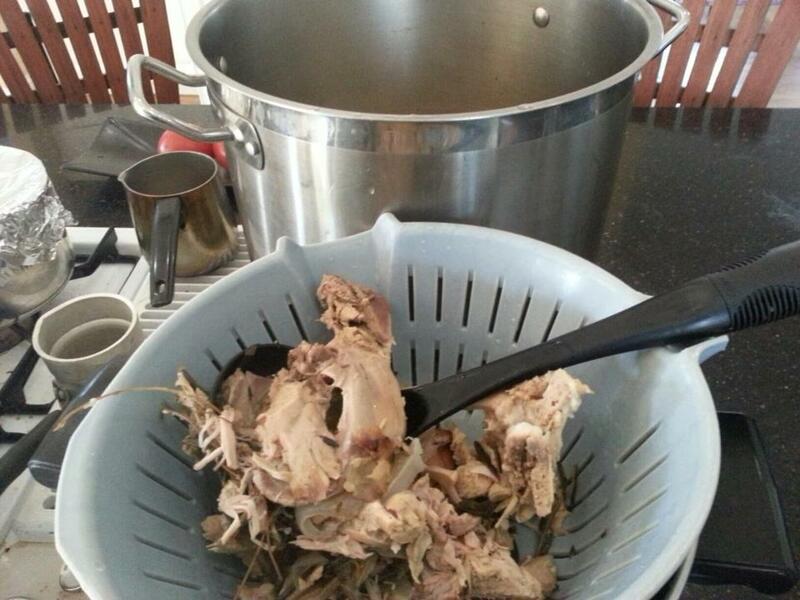 In a large pot, place the turkey carcass and fill it with cold water to cover the carcass. Bring it to a boil and let cook until all the meat falls off the bone (usually for at least an hour). In the meanwhile, chop your onions, carrots, and celery. In another large pot, add a couple tablespoons of extra virgin olive oil, throw in the veggies, and saute until the onions are translucent but not golden brown. 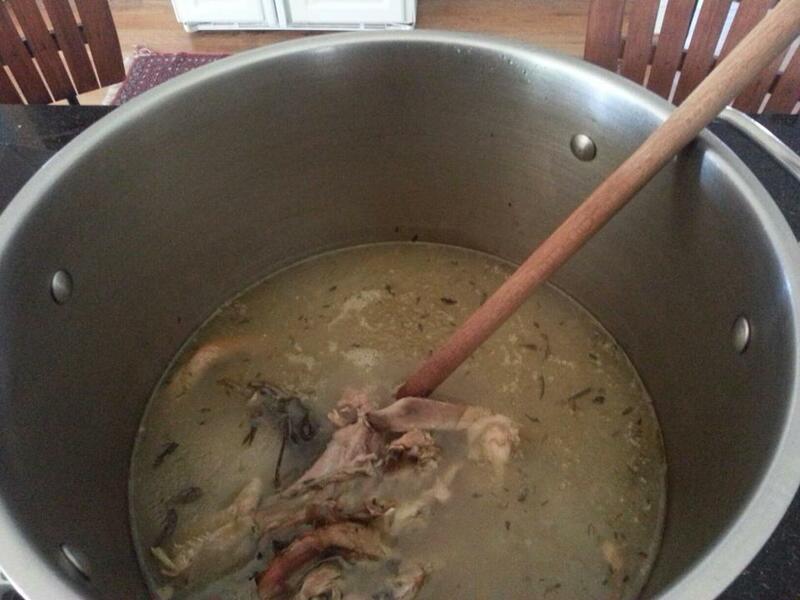 When your turkey stock is ready and all the meat has fallen off the bones, remove the carcass and any bones out of the pot. 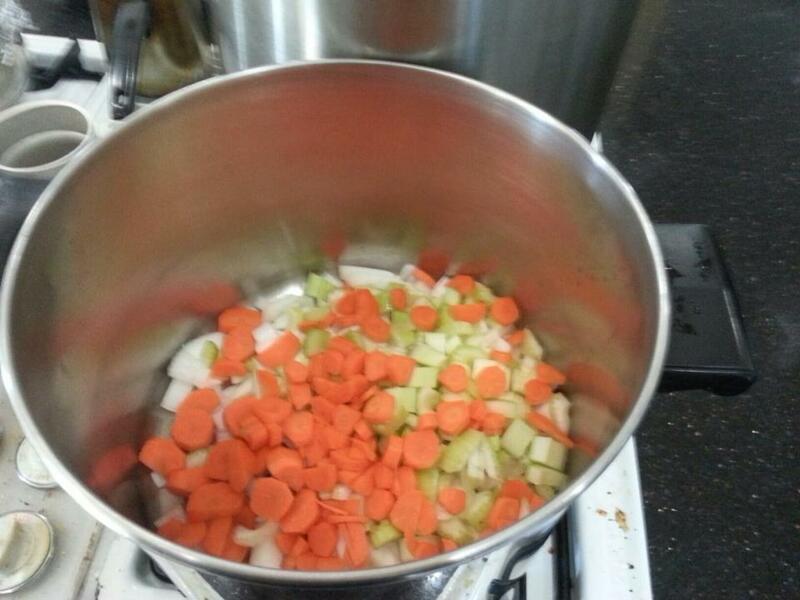 Strain the turkey stock into the onion, carrot, and celery mixture, and keep the heat on medium. 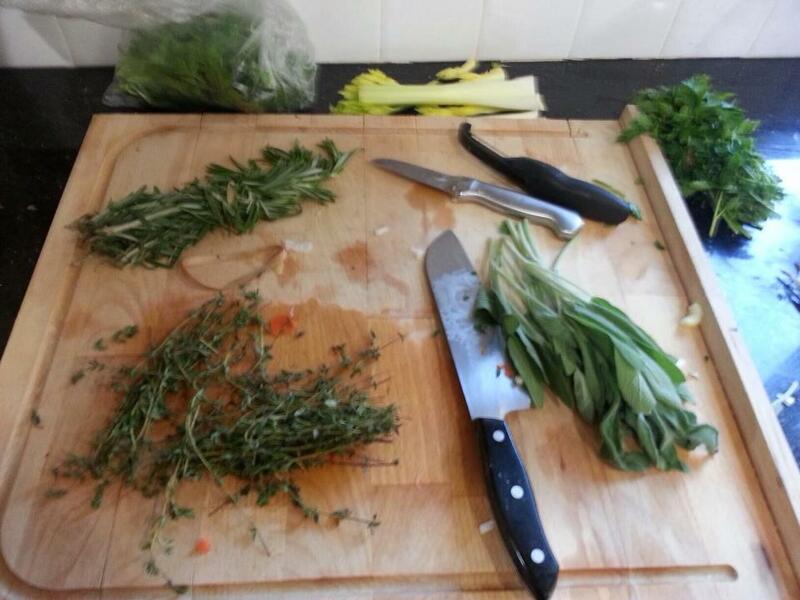 Now you can add any additional veggies and fresh herbs you like and have around. Cabbage, cauliflower, whatever! Toss it in! 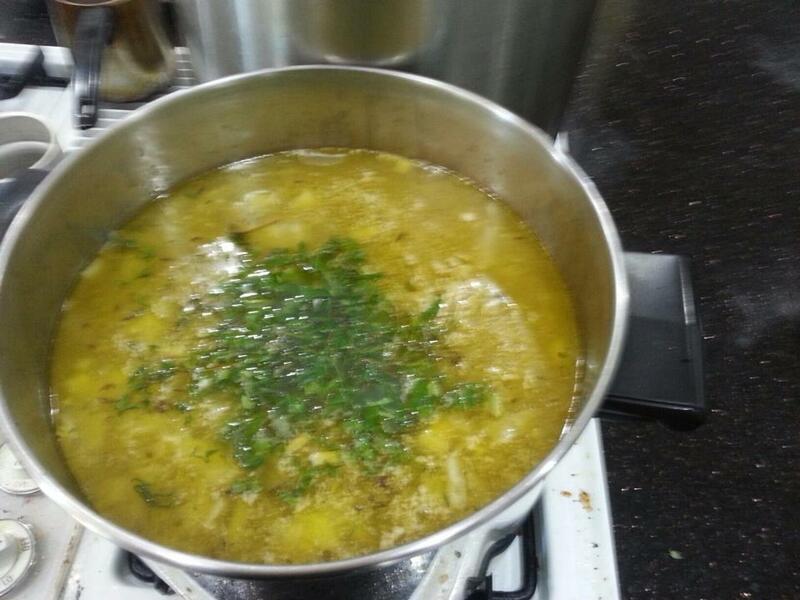 I like to add about a couple tablespoons each of fresh sage, rosemary, thyme, and parsley. Once all the veggies are tender, add the turkey meat to the soup and that’s it! You have turkey soup. Feel free to add barley and whole grains to this soup as well – it’s fun to get creative with leftovers and whatever is around your kitchen! I’d say one of the best parts about fall is the smell. Apple, fall leaves, cinnamon, cloves…there’s just something so warm and comforting about fall scents. The great news is that it’s very easy to keep your home naturally filled with the smell of fall, so you can toss out those scented candles that fill your home with harmful chemicals! I’ve been making pomanders for years which look great and give off a lovely scent, which I’ll talk all about in an upcoming post, but for now, check out these fun and natural ways to make your home smell like fall here and here. I love this quote because it is exactly my mindset. In every endeavor I set my mind to I only expect success. No project (or day for that matter) should be started on the basis that the worst case scenario is failing. No, going into anything our expectations should be success or better. Either everything will be perfectly fine or everything will be beyond fine. 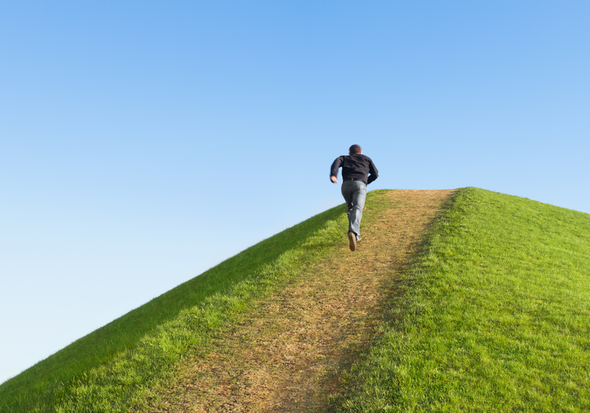 Go into today making bold choices and expect one of two outcomes – either you will land on your feet and keep walking or you will fly through the clouds. This week, in addition to Thanksgiving, it’s safe to say I over-reached and started way too many projects around the home. I started with the goal of redecorating one room and ended up with six rooms now that need my TLC. 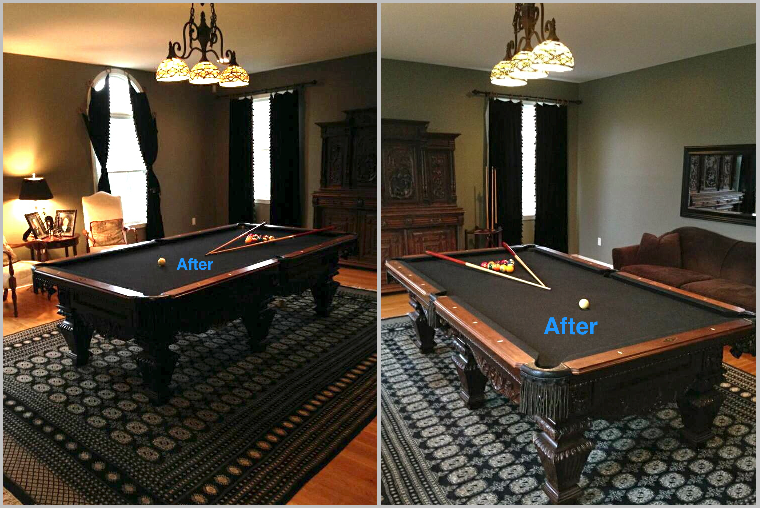 At least I’m on my way to finishing a few of the projects, including my billiard room that I showed you a few weeks ago. Check out the before and after! 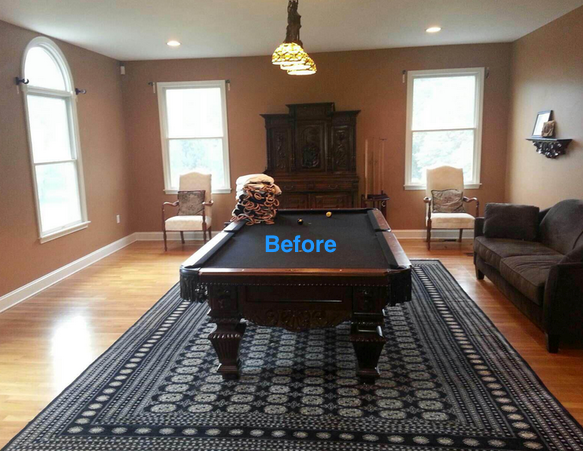 The window treatments and painted walls were all DIY and therefore done on a slim budget – big thanks to my oldest son Ray for taking care of the painting! This week I’m throwing two tips your way. (1) Winter is coming and it’s a great time to rock the darker lipsticks. But wait! As beautiful as deep purple and burgundy lipsticks can be, wearing darker lipstick does age you. So if you’re on the younger side, take advantage. If you’re older, might I suggest sticking to lighter, more neutral shades? (2) Guys and gals, once in a while for great skin, when you wake up try rinsing your face with a little bit of milk. 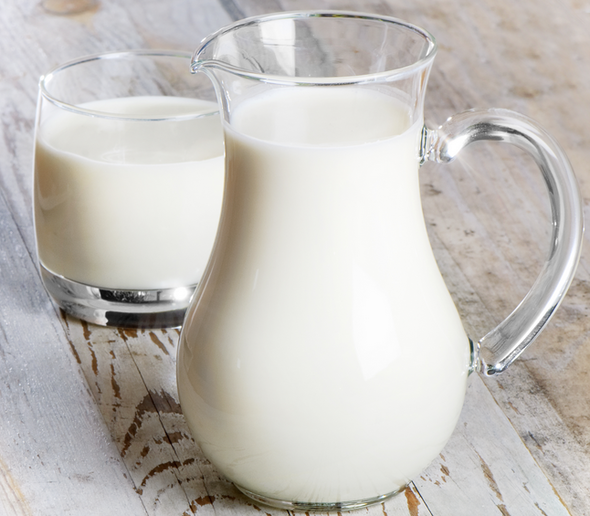 Milk is a lactic acid and allows your face to receive a natural acid treatment that’s mild enough for sensitive skin, as opposed to many of the commercial products out there. Even though dairy isn’t the best for you to drink, it makes an excellent face wash and helps leave you with clearer, refreshed skin! I hope you had a delicious Thanksgiving dinner, and I hope you’re now ready to burn off that extra serving of dessert! Let’s wind down from the holiday week with V Well Health Fitness Trainer’s Yogini workout video to “burn fat, firm up and de-stress…the teeny bit of yoga sprinkled into this routine helps us get a long and lean yoga physique without the torture.” Sounds good to me!